Help! Design Dilemma in the Hardware Dept. I need your help! I am in the process of beautifying my office and it is time to address a very important place – my desk. The desk is large and angular in a clean, fresh way. It has been painted a matte black and there is just one problem… it is missing a drawer knob! I took the original knob off more than a year ago. It was ugly and I just couldn’t have that. I replaced it with a vintage crystal knob I found at Uncommon Objects only to have that knob shatter in my hand (making for a fun time cleaning up glass shards). I have narrowed my wish list down to these few. I like the vintage feel and want to avoid anything overly fluffy or feminine. The knob will be a bit of eye candy in my mostly neutral office and I want it to evoke a calm, stylish, scholarly feel and be unique and a bit unexpected. Which of these fits the bill? Finally, a knob I have been eyeing on ebay for some time now, crafted in one of my favorite shapes: a nautilus shell. So now you understand my dilemma. Which to choose! Do you have any suggestions of your own? Colorful Trays – With a Twist! I’m finally (almost) done with another painting project. I found these trays at a local store that sells castoffs from estate sales. I call it the junk store. The trays were $1.00 each and that was too good to pass up. After pondering the many ways I could cover the festive leaf motif, I settled on a can of Rust-oleum Painter’s Touch spraypaint in Winter Grey. After cleaning the trays, I applied four light coats of paint and could have done a few more coats to get a more even finish, but this project was more about fun than about perfection. It was tricky to keep the paint from pooling in the cracks – a good learning experience for me since spray painting is a relatively new technique in my repertoire. It was difficult to decide on a method of adornment (so many ideas! ), but ultimately my love of words, typography, and shiny things won out. Using silver adhesive vinyl letters I purchased at Michaels and aided by a ruler, I spelled out a different word on each tray. Each word represents a color that I like and that I have strong positive associations with. I am curious to see if the word choice influences my color perception over time. The trays are all identical shades of grey, but I wonder if the “arctic white” tray will seem lighter than the “cerulean” one or if I will reach more often for the attractive, metallic-sounding “silver”. 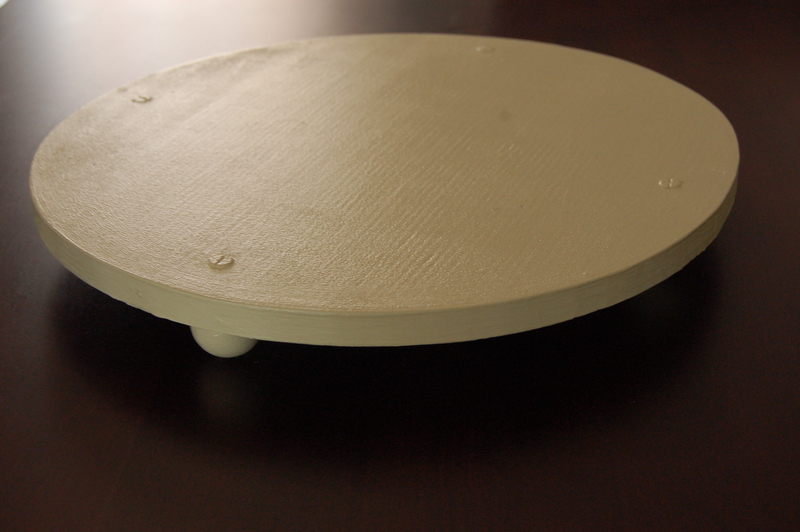 The trays received two coats of clear polyurethane applied with a foam brush. I am still debating whether I should go back and give them a light sanding and another coat – I was a bit sloppy with the varnish. I am looking forward to using these trays to cart my breakfast out to the patio or to use for holding crafting supplies on my lap while I watch tv. Of course trays are always a great option for entertaining – maybe my guests will be intrigued by the color wordplay. 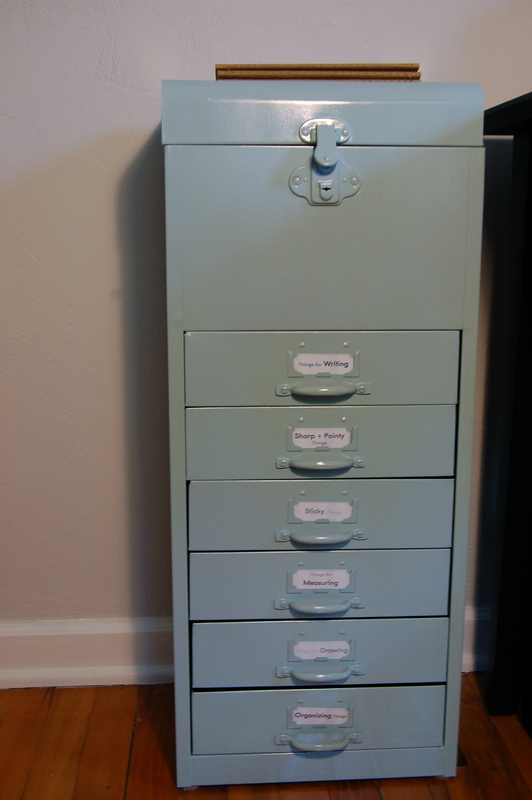 This is another great example of a low-budget project featuring used items ripe for refinishing. There are so many possibilities in objects like this. If you like the shape of something and the function is intact, it is so easy to paint away the things you don’t like, giving old objects a new and more beautiful life. Create your Own… Banana Trap! Okay, so it’s actually a trap for catching fruit flies that uses a banana and is unlikely to snare any unsuspecting bananas (other than the sacrificial one inside). Lately our house has become overrun with fruit flies and this is my first attempt at dealing with them. Part of making our home beautiful is eliminating the elements that are not and doing so in a way that is healthy and harmonious. According to various online sources, fruit flies can get in to the jar but cannot get out. Sounds perfect! The process is simple. Place a banana in a clean, empty jar. Cover opening with saran wrap and secure with a rubberband. Poke a few small holes into the plastic wrap and wait for the fruit flies to come! Hopefully it is just that easy. It’s been a half hour since I set up our trap… so far no takers. I am dying to see this jar filled to the brim with little winged creatures, but I admit I am not sure what to do with them once collection is complete. Ideas? It was important for me to give my bridesmaids gifts that were beautiful, personal, and practical. Although I have never made jewelry before, I decided to make necklaces for each girl. The method I chose was so easy (not counting the time I spent choosing beads, this project took about an hour), I have faith that anyone could do this! As usual, my favorite part of the project is the ease with which you can customize it to fit your taste. This makes a fantastic bridesmaids’ necklace but would also be a great gift for the women in your life. You could personalize the necklace with colors, stones, or charms that are meaningful. I made the loop bigger in the picture, but you want the loop at the bottom to be as small and neat as possible. It is there to keep your beads from sliding off, so make it secure and larger than the hole in your beads. Following this step, I unrolled several inches of wire and cut it off of the spool with the intention of trimming it to size later. This step is the fun part : select your beads (or charms or whatever) and slide them onto the wire, taking care to remember which way is up. You can make this pendant as long or as short as you like. I opted for something small and dainty. If you are making multiple pendants, you may wish to lay out your beads in advance. It can make it easier to decide which colors and textures look best together. Finally, you are going to repeat the same process of making a loop at the other end of the pendant. This loop will hang from your necklace, so make it large enough for your chain to pass through. I spent extra time making sure this loop was attractive, since it will be visible. Cut off all but 3/4″ or so of excess wire. Wrap the excess wire tightly around the stem of your loop to secure. This part of the process was made a lot easier by using flat-nosed pliers to hold the loop securely as I wrapped the wire around the base. I purchased delicate silver chains to hang the pendants from, but you could choose from any number of options. A thin velvet or sheer ribbon would look especially romantic. For presentation, I hand-stitched small cases out of felt to store the necklaces in. I accompanied the necklaces with pearl earrings, displayed on cards I had made out of paper that matched the wedding colors. Like many of you, I received a Podcast Spotlight from iTunes yesterday highlighting several DIY podcasts. I was excited to check these out – the podcasts range in length from under five minutes to more than a half hour and offer free ideas, instructions and sometimes even video guides for a variety of DIY crafts and projects. Did I mention these are free? Although I was more interested in the craft podcasts, there are even home improvement podcasts with ideas and advice for homeowners remodeling their abode or preparing their house for sale. My favorite part of this episode was the tutorial for creating your own seating chart made out of paper birds hung from the branches of a miniature tree – this would be cute in any season! These podcasts are only a few minutes long and demonstrate various sewing techniques on video and suggest different sewing project ideas. The sewing tutorials were particularly good. This is a great way for beginner sewers to get familiar with techniques like gathering, and shortening zippers without taking a class or bugging grandma for help. This podcast is produced by the makers of CRAFT magazine (the old fashioned kind printed on paper that you can find in bookstores etc). They offer both video podcasts that present instructions for a specific project as well as downloadable project templates and designs. The podcasts are excellent and easy to understand but I especially like the downloadable patterns. There are a ton of cute ideas – especially for anyone with a child or who has not outgrown toys themselves. 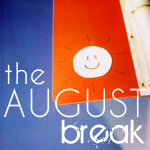 There are an abundance of other podcasts on iTunes with ideas ranging from the cute to the bizarre. Check out the iTunes store on your own computer and search for “DIY” or click here to dive right in. With garage sale season in high gear, it’s the perfect time to pick up a few “treasures”. I spotted this vintage metal organizer at a local thrift store for $11. (There were even “bonus” papers inside dating from the 1960s!) 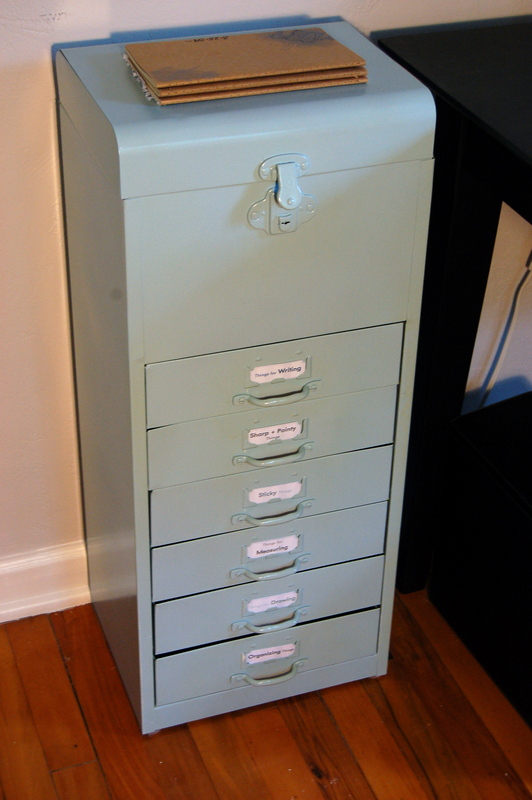 Factor in two bottles of spray paint at 4$ a bottle + the drawer labels I designed and printed myself, and I have a new organizer for my office supplies that rang up at less than $20 – significantly less than even the ubiquitous metal drawers from IKEA. At the moment this beauty is on felt pads but adding wheels may make it even better. Thoughts? 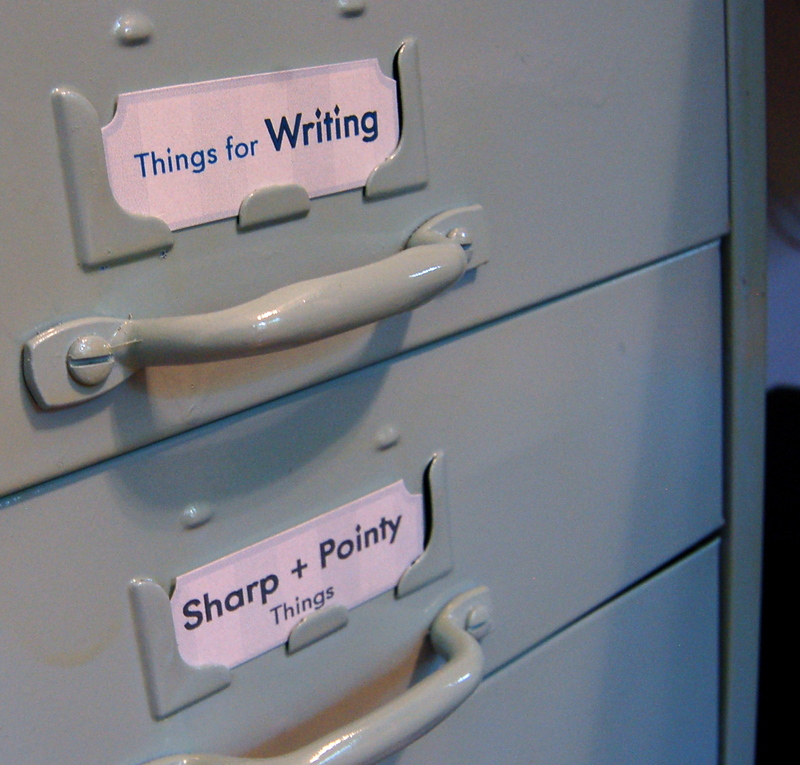 The cheerful sky blue color is a perfect accent for my office – which features black, white, and grey as the dominant colors and is totally unique. Once again, cleaning, sanding, and a few coats of paint were the only things necessary to turn trash into treasure. I got married a few months ago and for some reason everything is more complicated where I live. 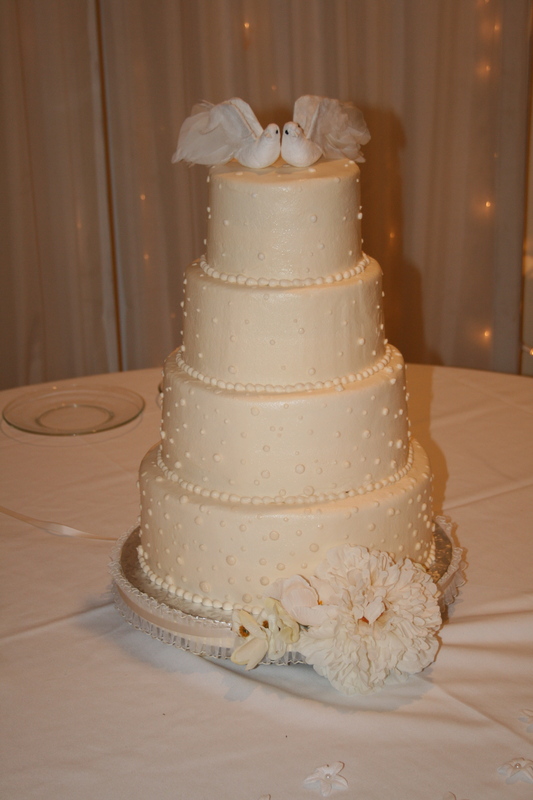 We found a baker we loved, but she could only provide white plastic stands for our cake. I considered other options but simply didn’t have the time or money to hunt for something perfect and using something made of plastic simply wouldn’t work. So, my husband-to-be created the perfect cake stand for me. 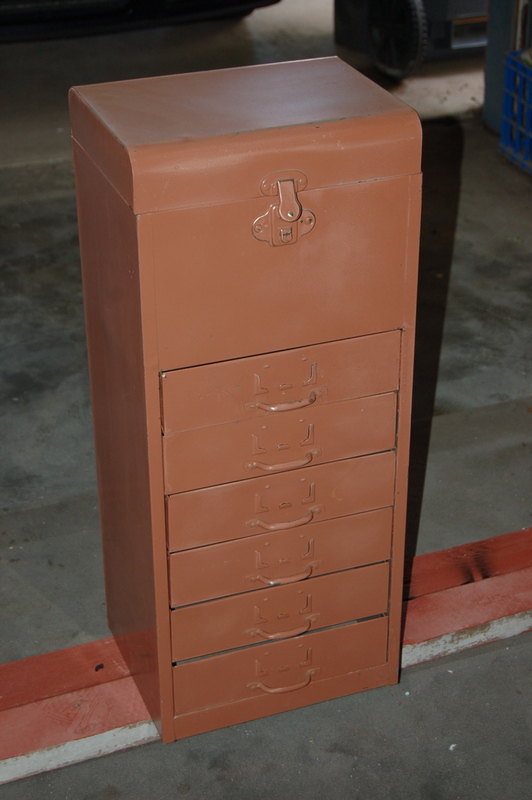 The construction is simple – screw feet into a piece of wood and paint. 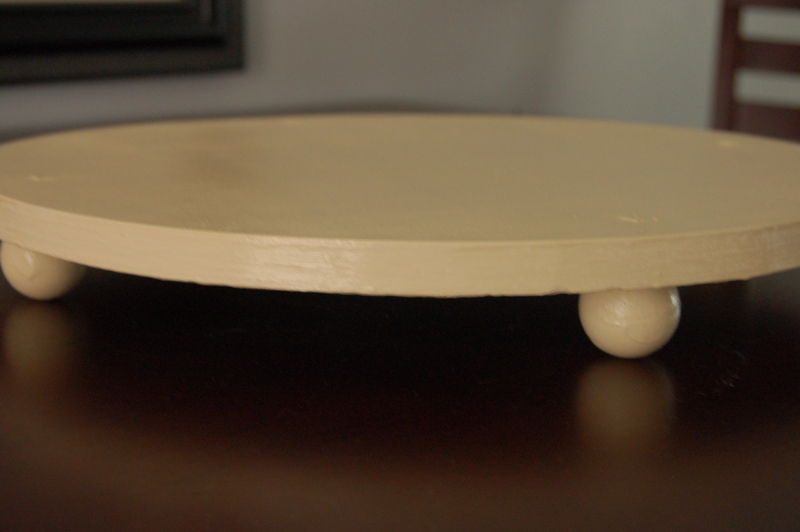 We chose to use round wooden feet we found in the craft area at Michaels and affix them to a 14″ diameter plywood circle. We had hoped to find a precut circle but after searching high and low we had to give up and have my granddad cut one for us out of a piece of scrap wood from my dad’s garage. Since then, we have found circles of wood in various diameters everywhere – Michaels, Hobby Lobby, ACE Hardware, and more, so if you choose to create your own, you should have an easier time finding the supplies you need. After sanding, Tyler then drilled four holes at equidistant locations around the perimeter of the board and attached the feet with screws. 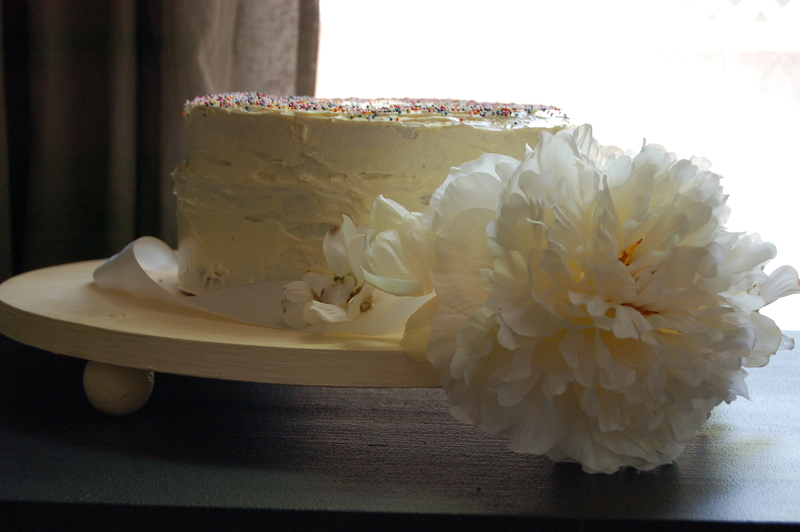 The screws are visible from the top of the cake stand, but for the wedding, we covered the surface with decorative paper. Primer, paint, and sealer were applied with a mini-roller and given ample time to dry. 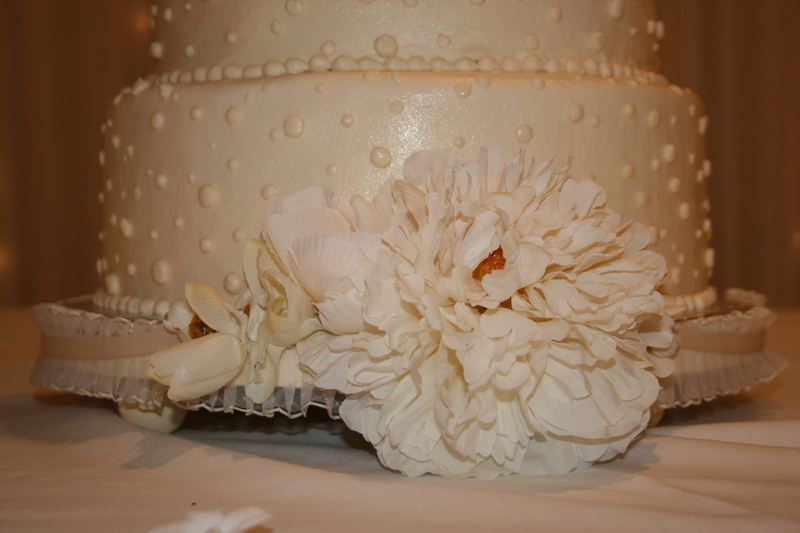 For the wedding, I attached trim with double sided tape and tied floral decorations on with ribbon. The simple design makes this craft a perfect vehicle for all sorts of decorations. The top and the sides are smooth, flat surfaces perfect for any kind of adornment. 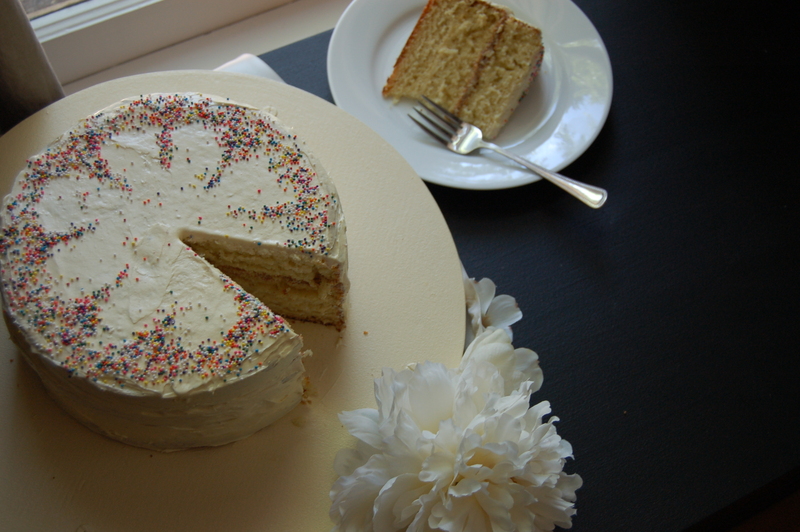 Most cakes I bake are not anywhere near 14″ in diameter, so this is also an ideal serving plate for cupcakes and other desserts. This project offers so many opportunities for creativity – it is so customizable! You could make it nearly any shape if you have access to a saw or stick with a simple square or rectangle. A square shape with square feet would be a nice, modern option or a starburst shape in a bright color would be really fun to offset a beautiful white cake. I considered a lot of different trims – a stripe of grosgrain ribbon down the center would be really cute – so check out your local fabric store to get inspired. I imagine that a large cake stand like this could be dressed up for the perfect little girls’ tea party (or big girls’ tea party!). Even if you have to buy your own wood and are not lucky enough to use a scrap piece like we did, the total cost of this project is less than $20, making it perfect for brides (or bakers!) on a budget. The fact that this serving piece can be reused for years to come makes it not only a wonderful memento but a practical addition to your kitchen.